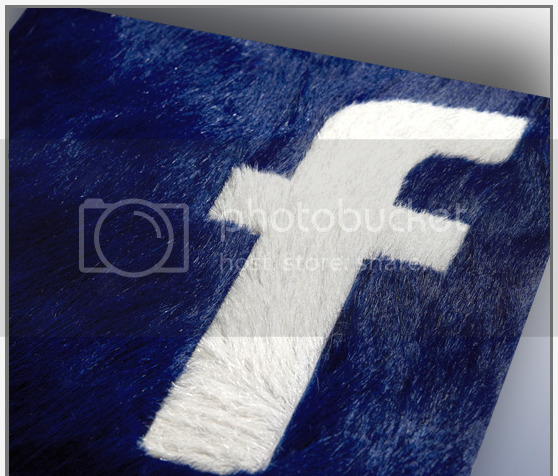 Does Facebook roll you the welcome mat? 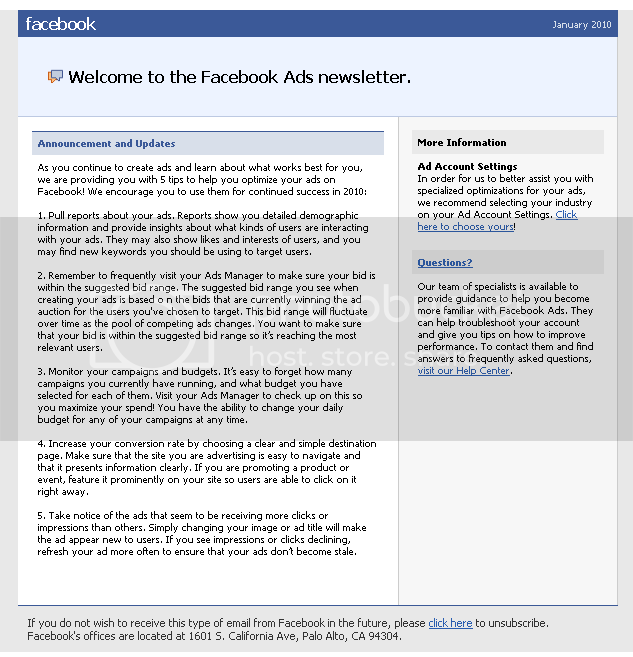 In October 2009, we analyzed an e-mail newsletter from Facebook titled Ads Manager Announcement that was directed to the Facebook Ads users. This newsletter is a great example of how to implement permission marketing, how to avoid the brochure mentality, and how to do seamless product placement. The newsletter design is good: short and informative. However, there is one big problem with this newsletter: the no-reply e-mail address from Facebook. Yes, they really do. Think about this. Would you want to talk with somebody who introduces himself as “Hi, I’m not interested in what you think, but let me tell you about this!”? The problem with no-repply e-mails was first pointed out by Seth Godin in his book, Permission Marketing, back in the 1990s, and yet still, 20 years later, there are still a lot of organizations (e.g. 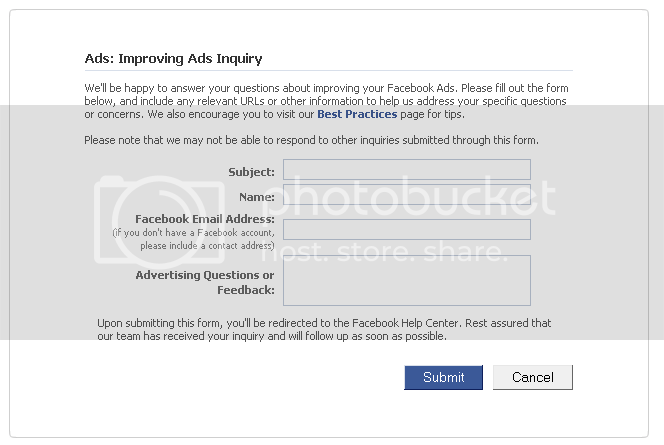 Facebook) using this conversation-killer e-mail address. What about the Help Center mention? Still Facebook does not want to hear from you. The contact form is buried on the website. 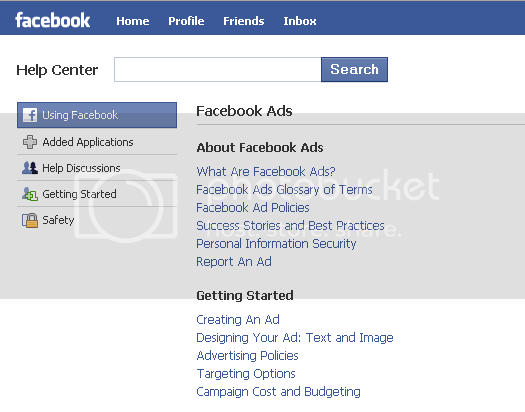 If there is a way to reach Facebook directly with your question, why don’t make it simple for users to do so. Facebook wouldn’t like that they needed to spend 10 minutes trying to figure out how to e-mail each one of its members, right? Conclusion: when doing e-mail newsletters make sure to make it as easy as possible for your e-mail recipients to contact you. You have focused on two very important aspects for marketing. I think directly replying back to emails is really important! Designing an e-mail newsletter is always a good idea to generate sales leads and keep past customers in the loop. The first thing that you need to establish are the objectives of your e-mail campaign. Once you’ve a good idea of what you want to accomplish with your e-mail campaign, then you will have to select what e-mail service provider you want to use. There are many options and I suggest MailChimp. But i think is normal to have a enewsletter without a no-reply…my enewsletter works exactly the same.And all the newsletters that i receive are like that.